"Guide to Successful Content Management System"
A detailed Content Management System implementation plan is designed to guide you through each phase of the CMS implementation and identify key processes throughout the lifecycle of the project. Effective implementation is essential to getting the most out of your content management software and learning how to use it efficiently. 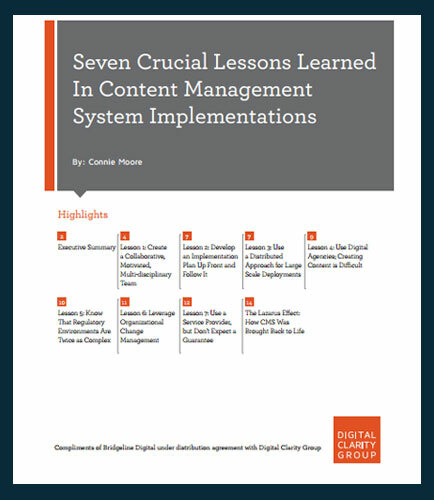 This Whitepaper examines seven key lessons learned by organizations that have selected a CMS solution, and are now in the process of CMS Content Management System implementation. Read this whitepaper to uncover the seven crucial lessons learned from Content Management System implementation that will help you plan a strong content management strategy.